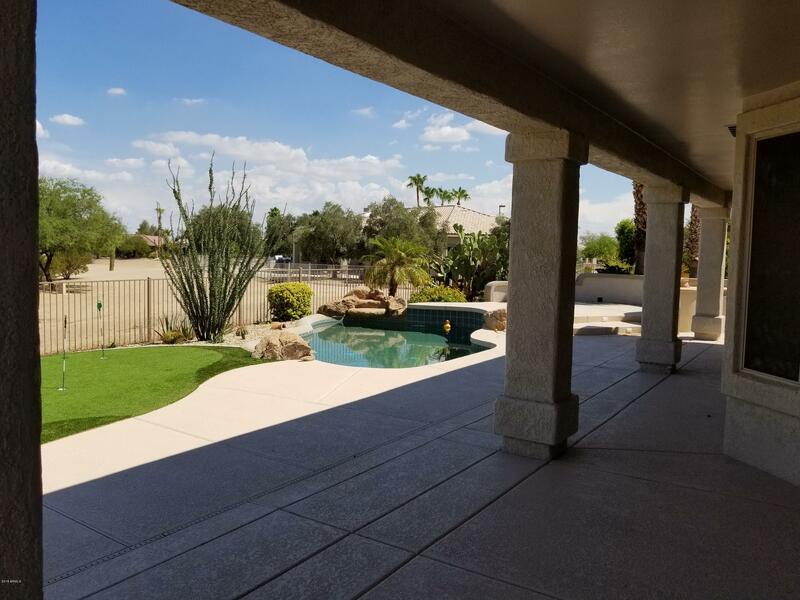 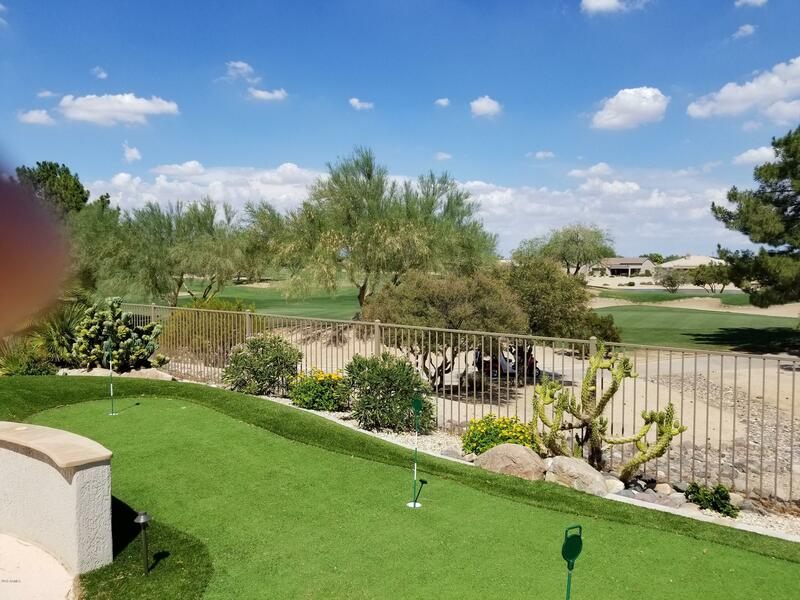 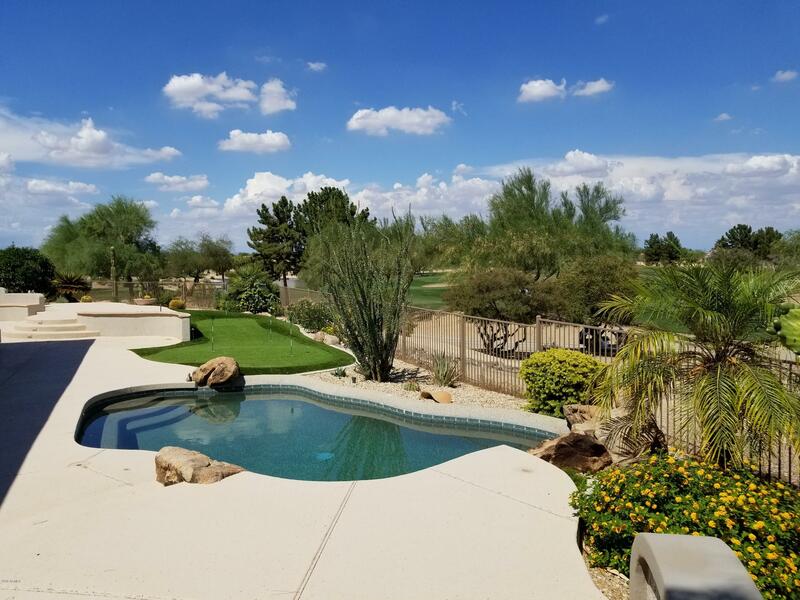 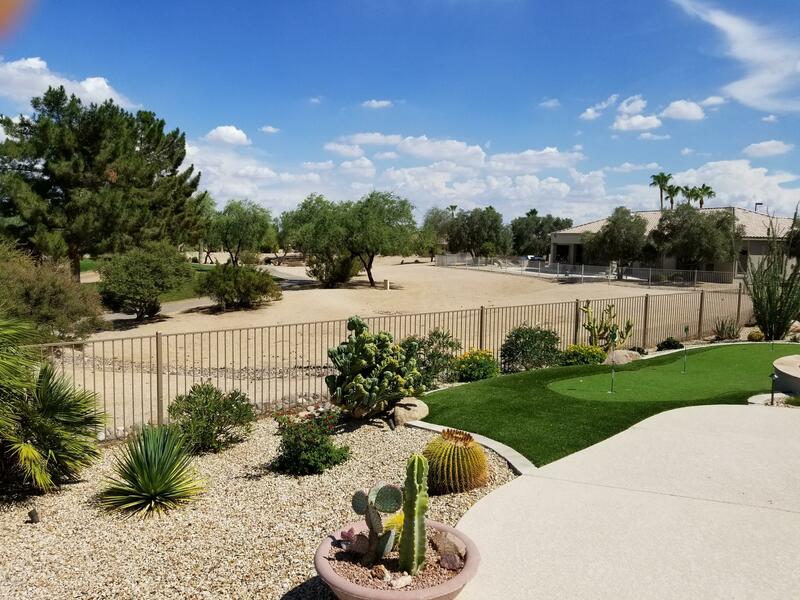 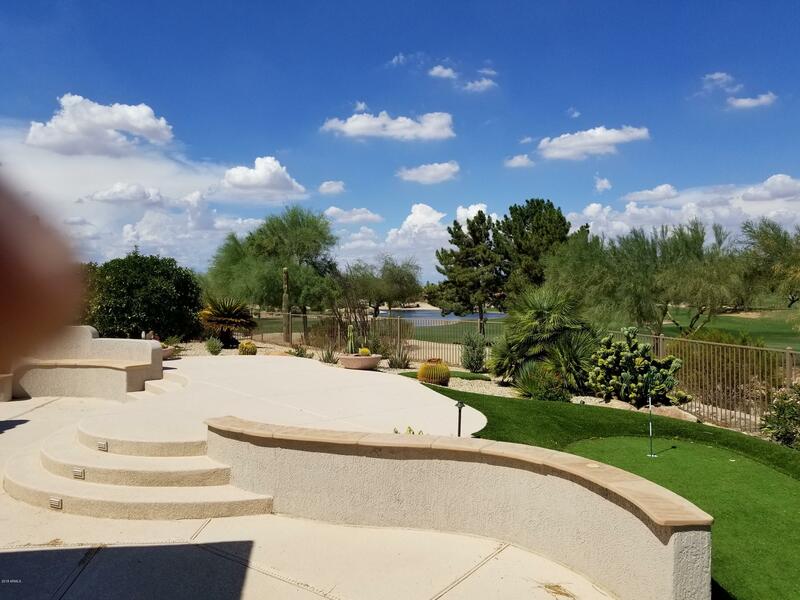 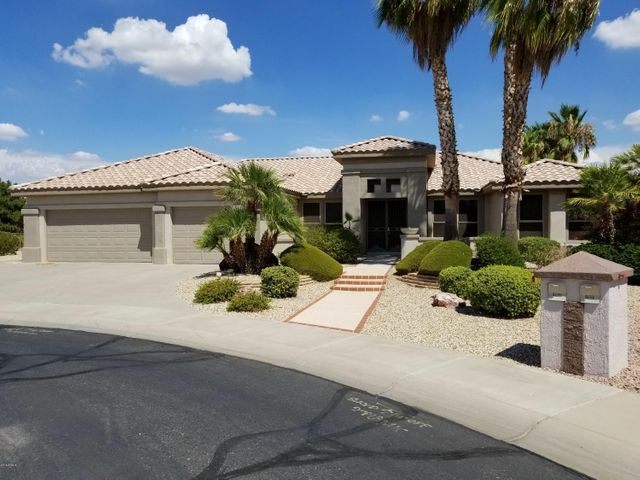 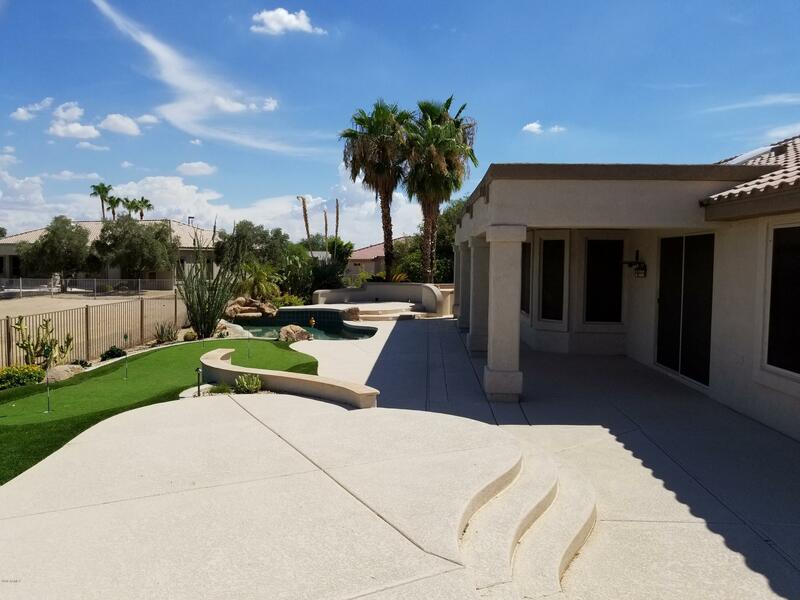 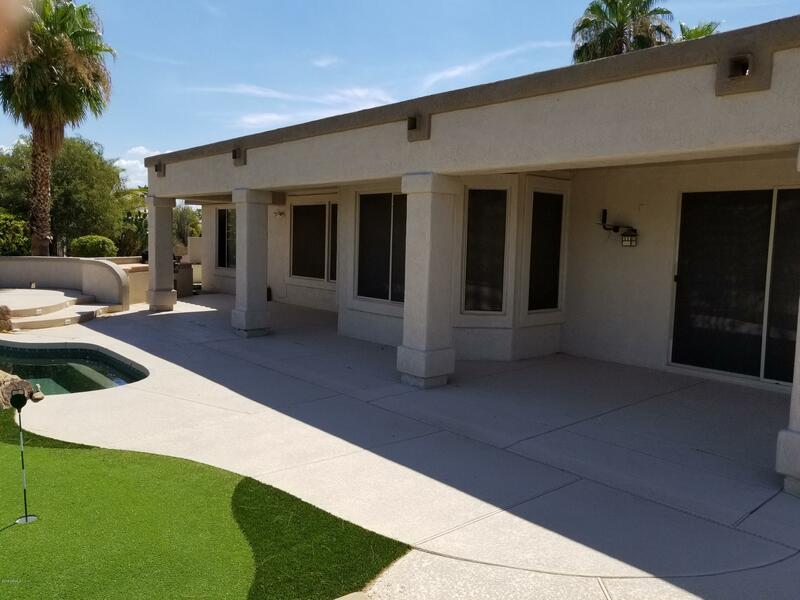 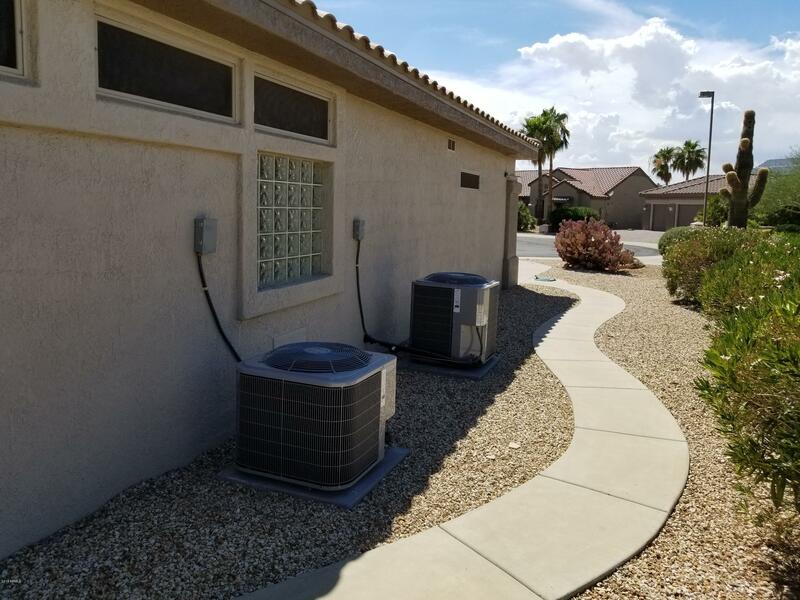 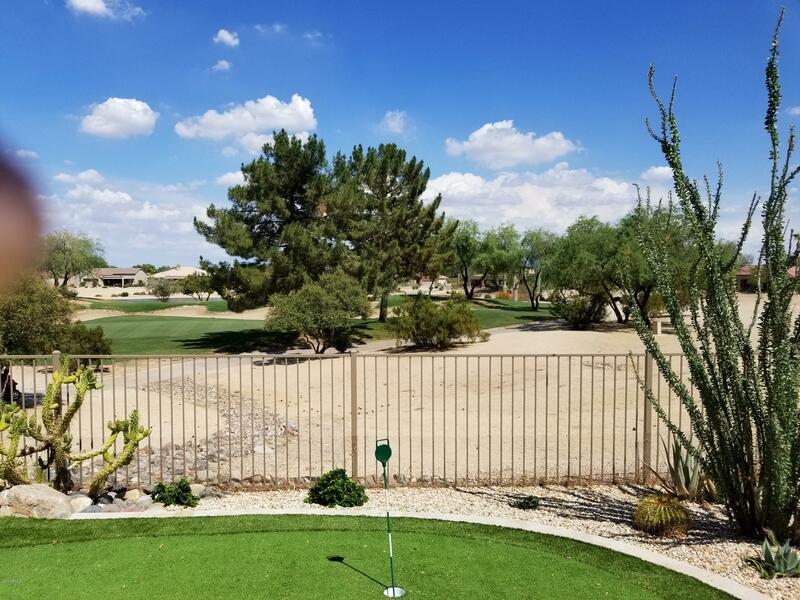 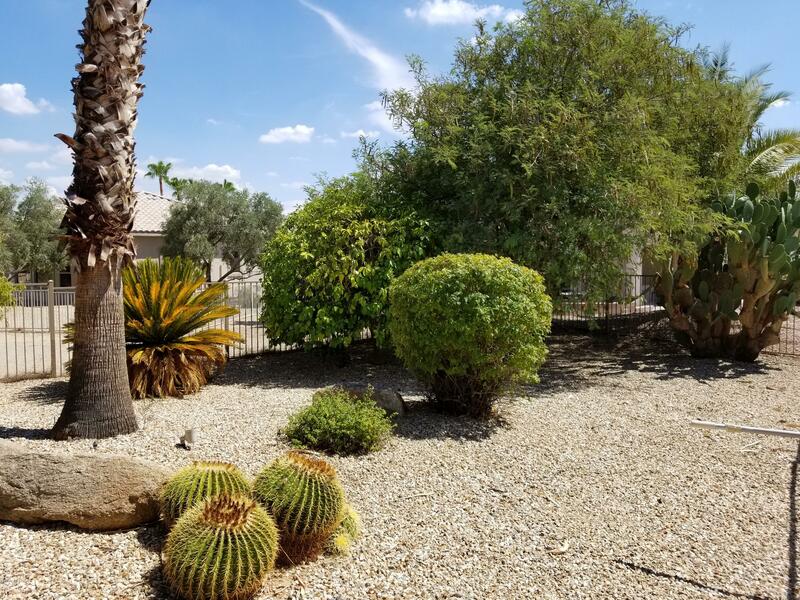 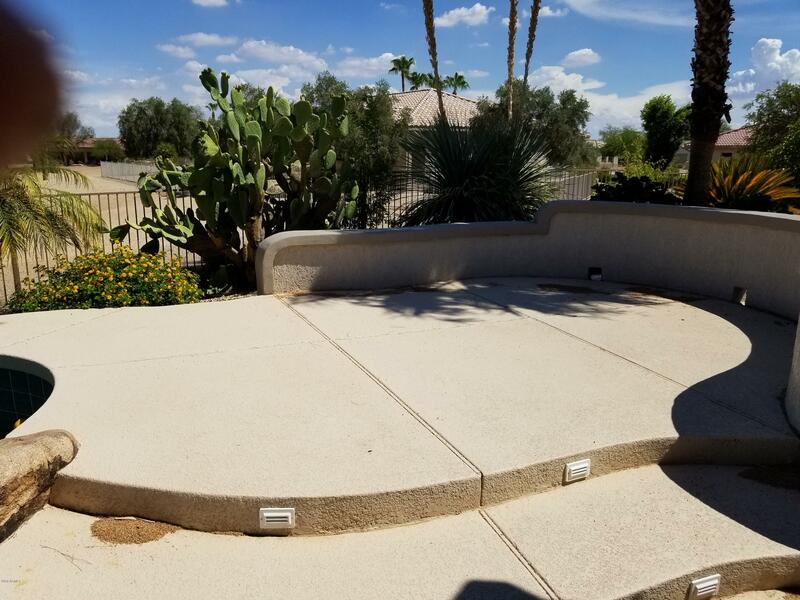 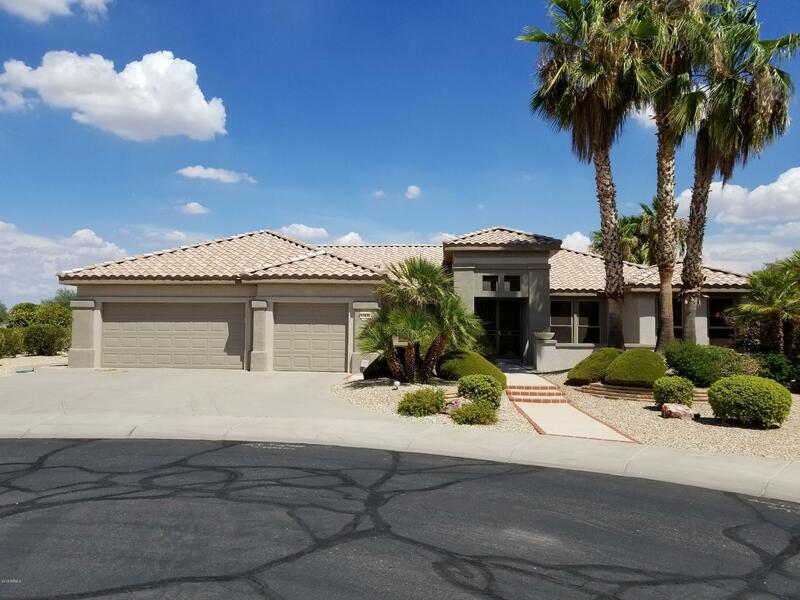 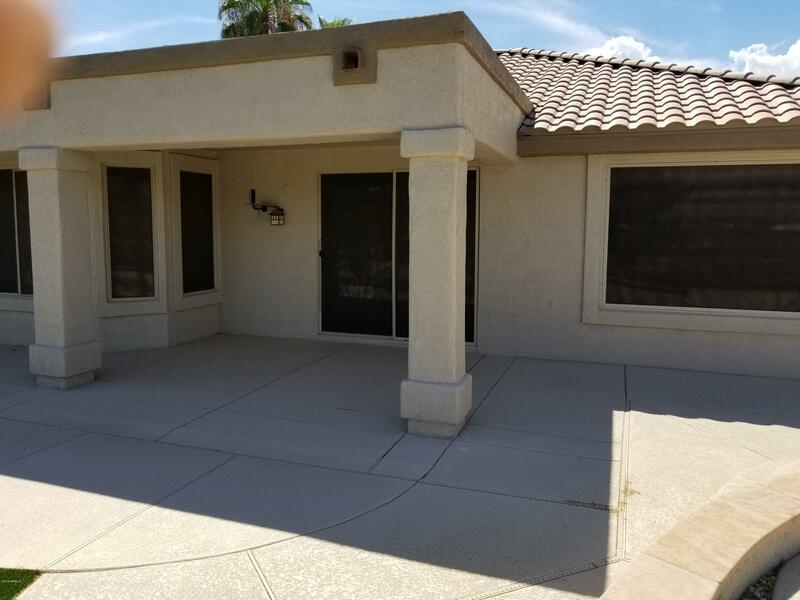 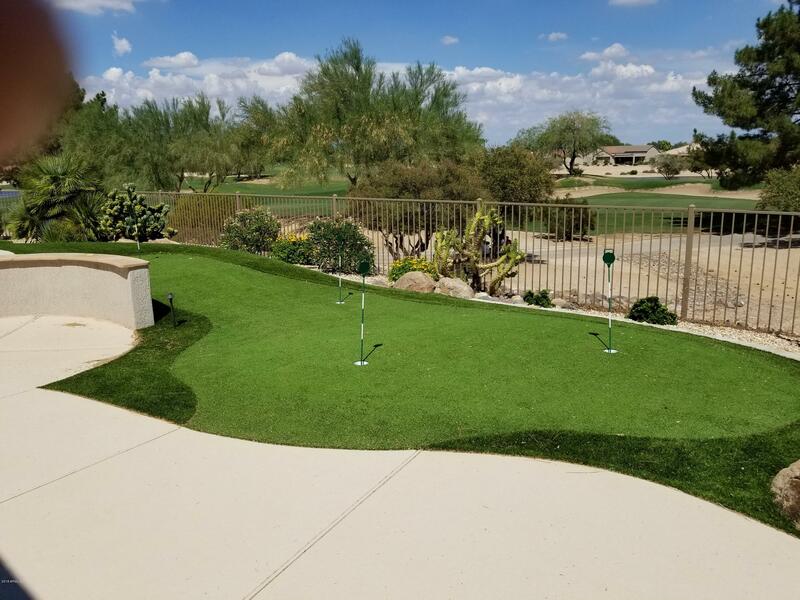 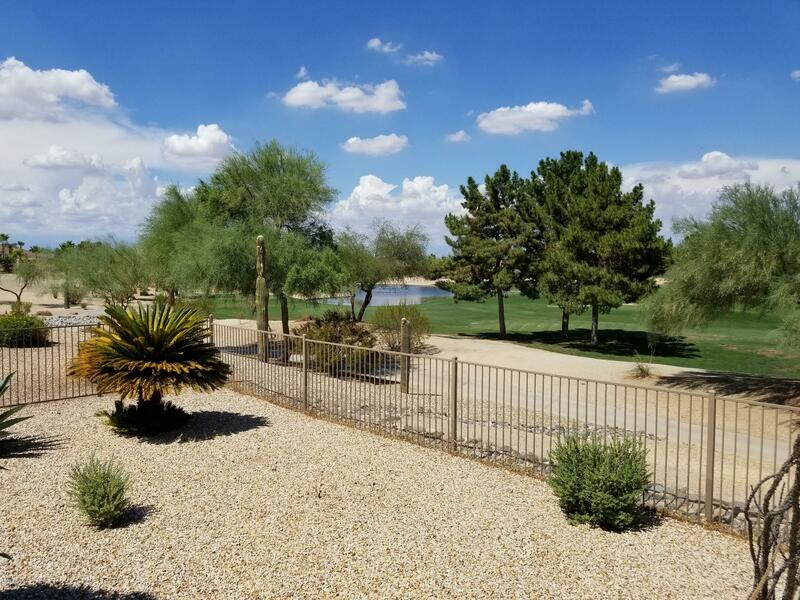 Beautifully upgraded and maintained Mesquite on a large cul-de-sac lot overlooking the #3 green of Granite Falls North golf course. 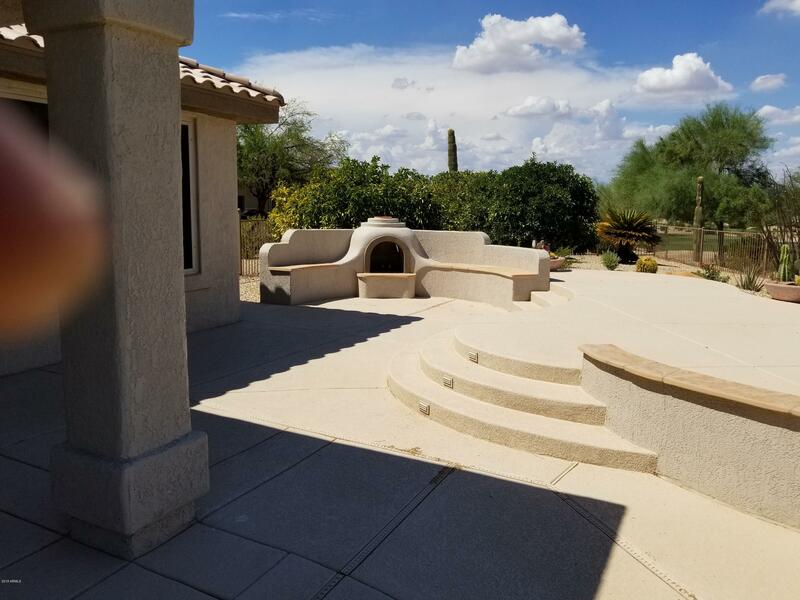 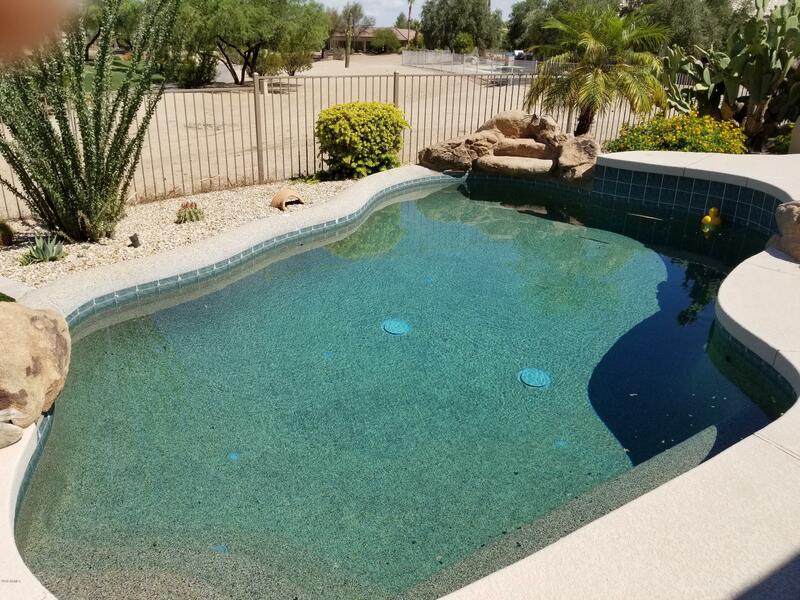 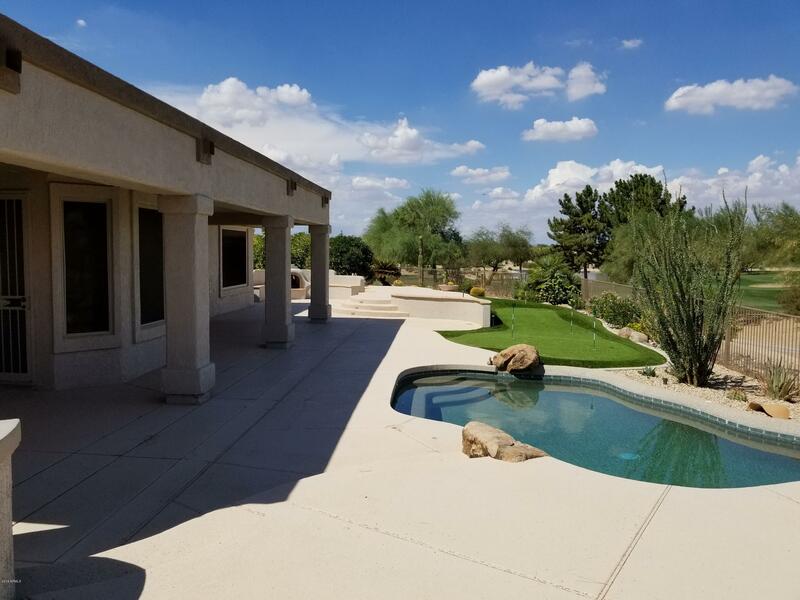 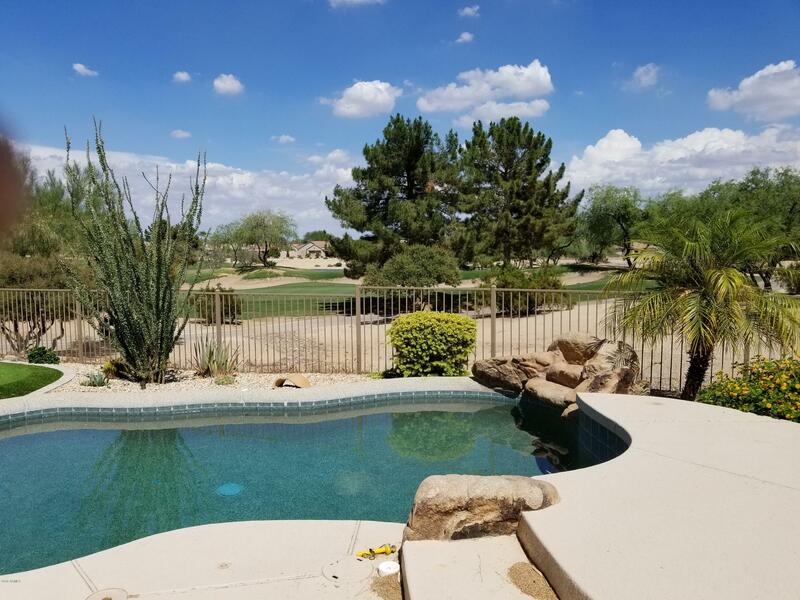 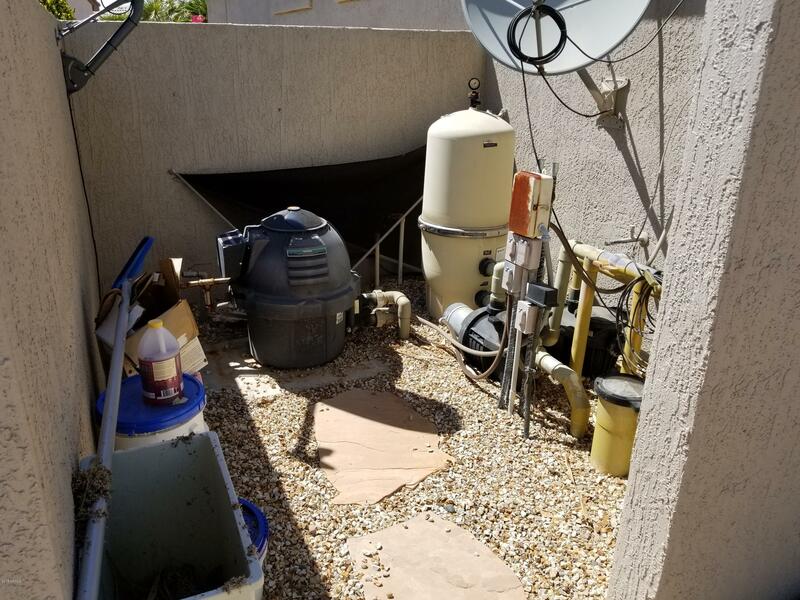 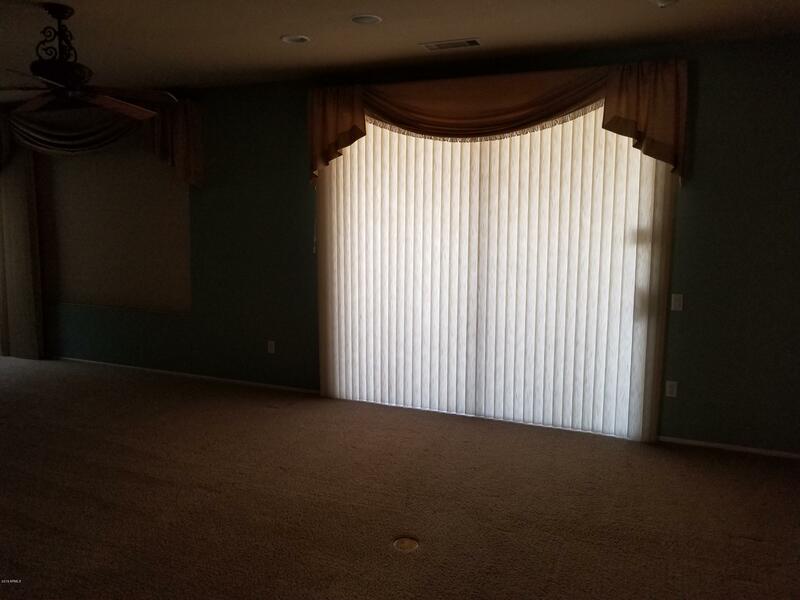 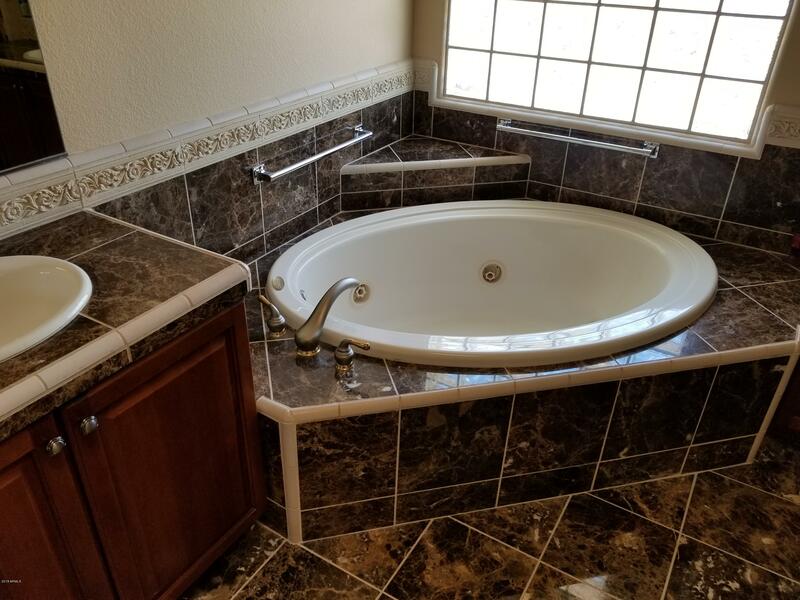 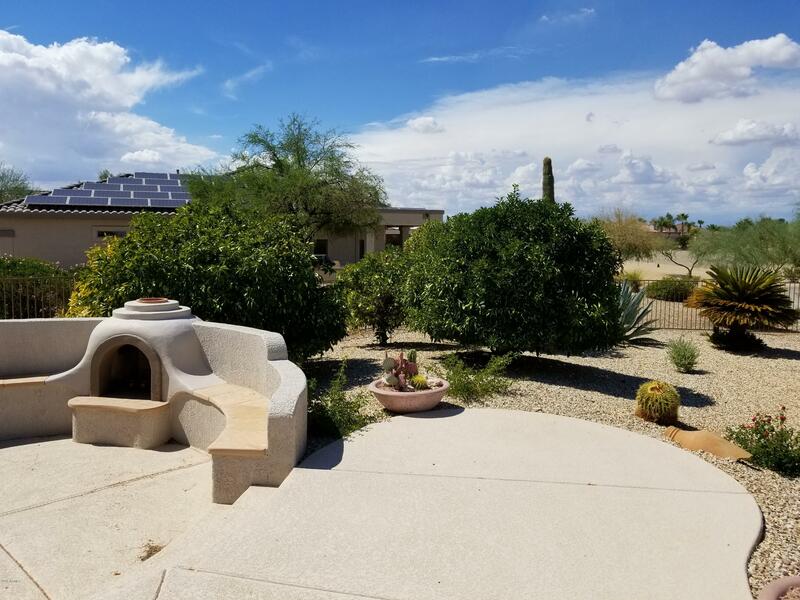 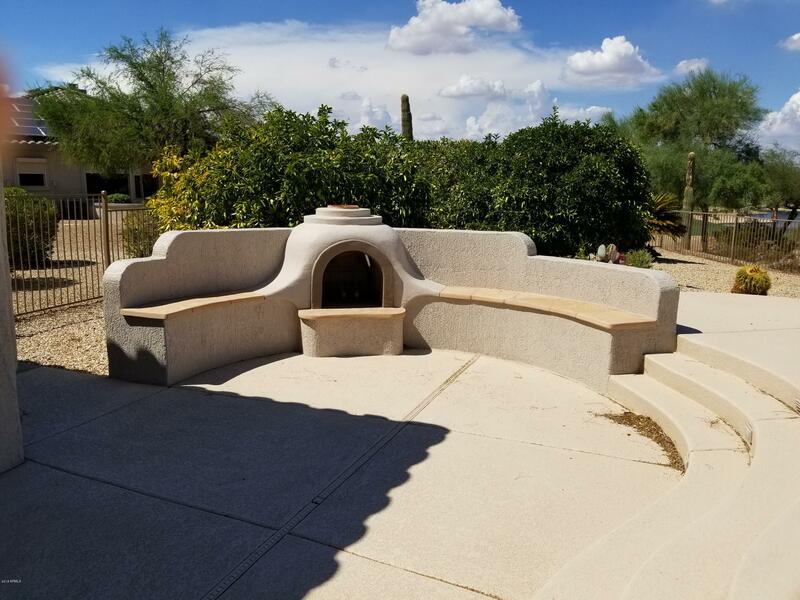 Private heated pool with waterfall feature, large outdoor patio with built-in BBQ, adobe wood fireplace and putting green. 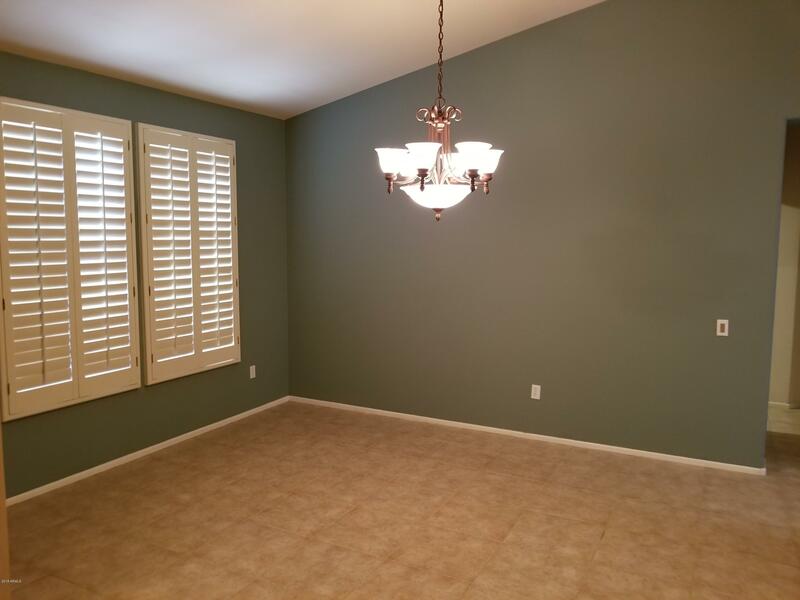 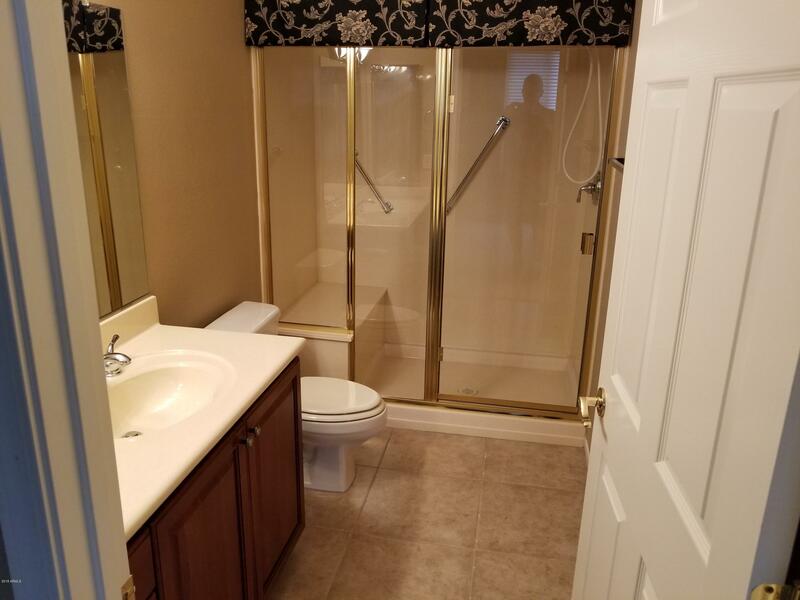 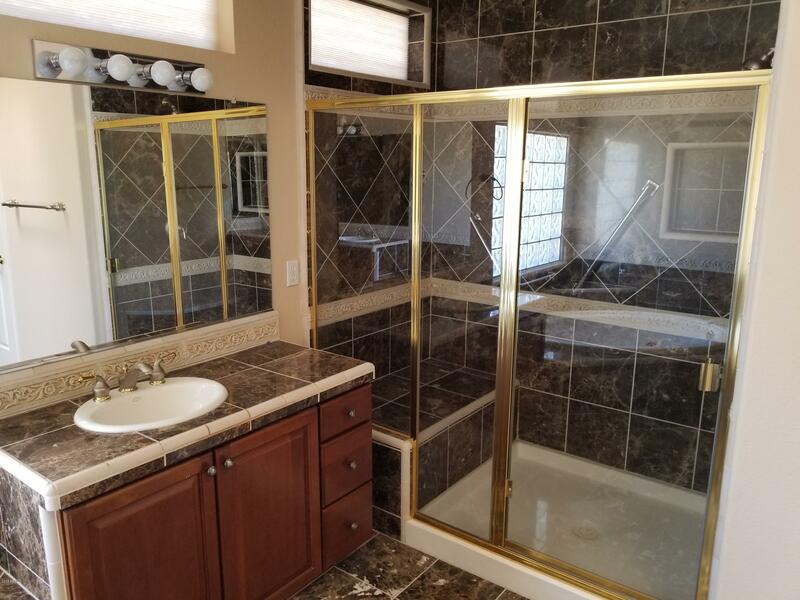 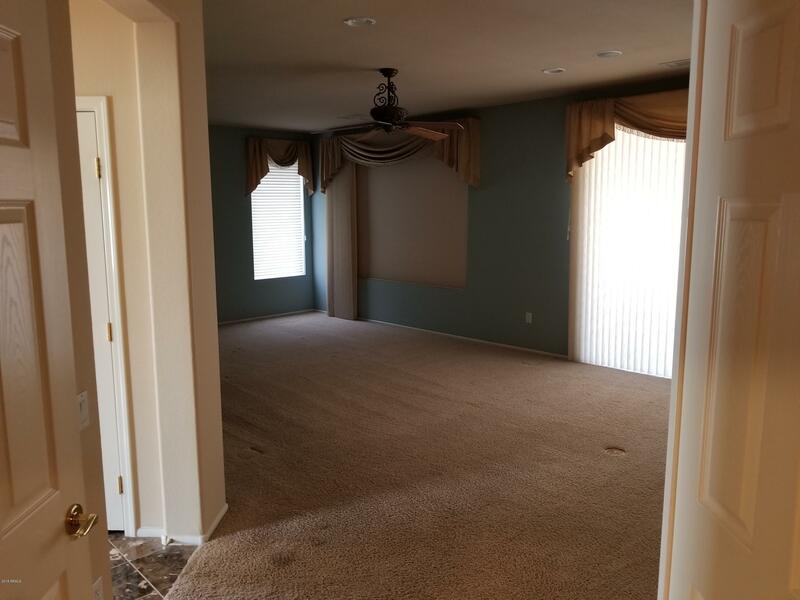 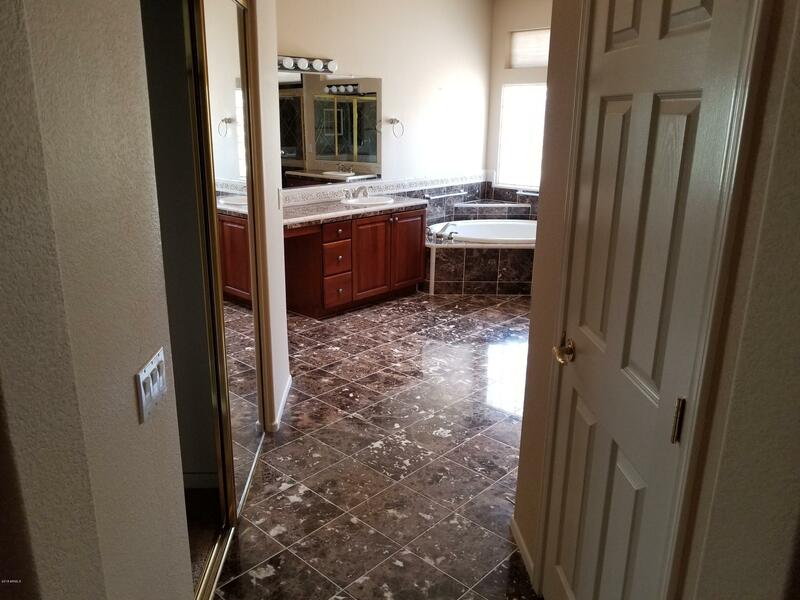 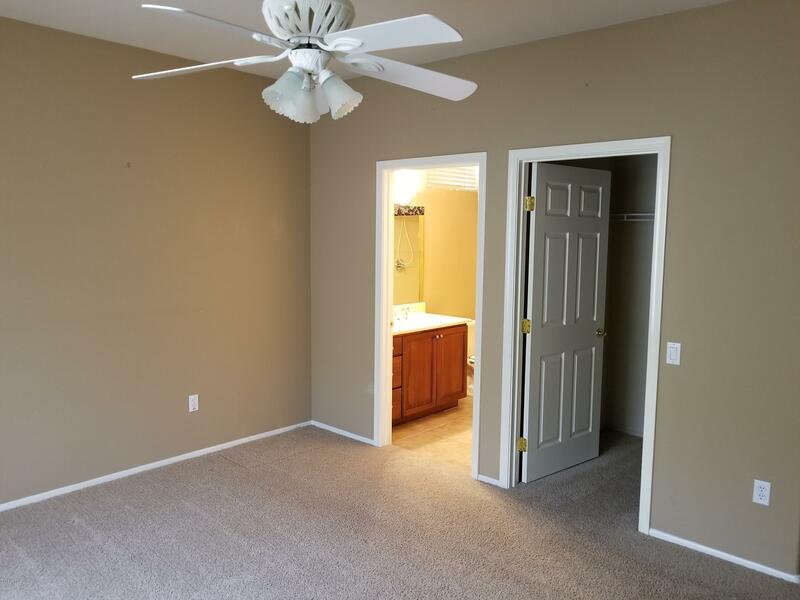 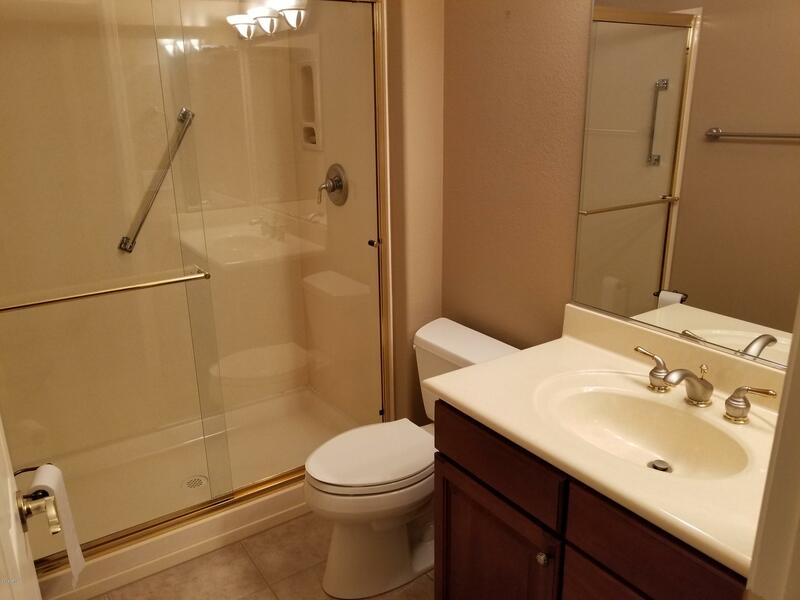 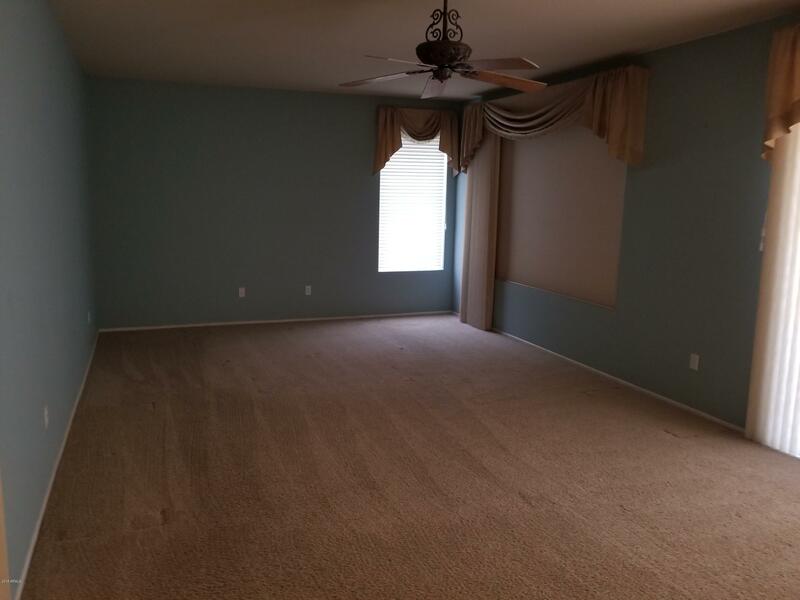 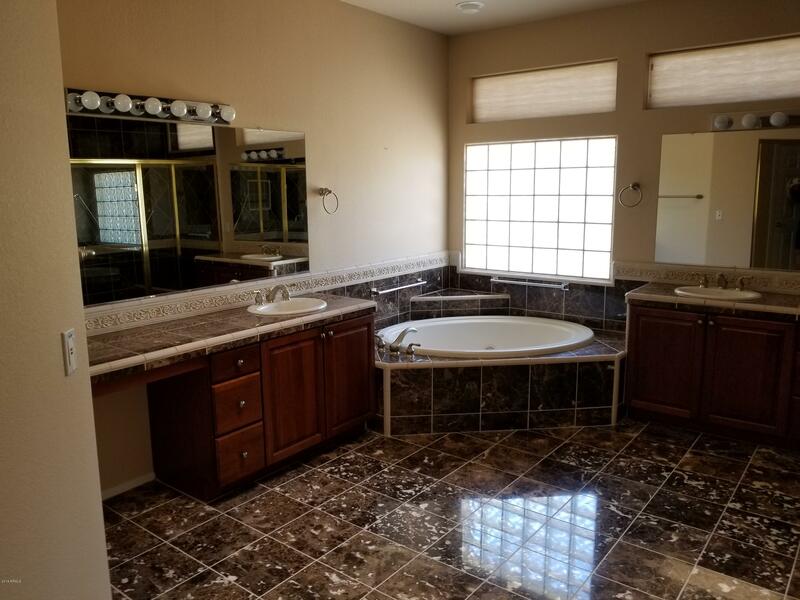 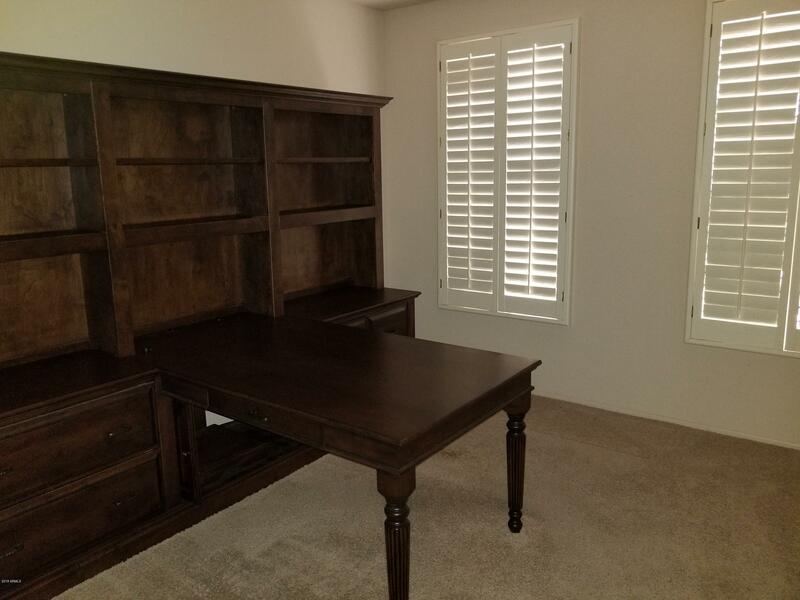 Large master bedroom with large built-in closet, highly upgraded master bathroom with double sinks, separate jetted tub & shower. 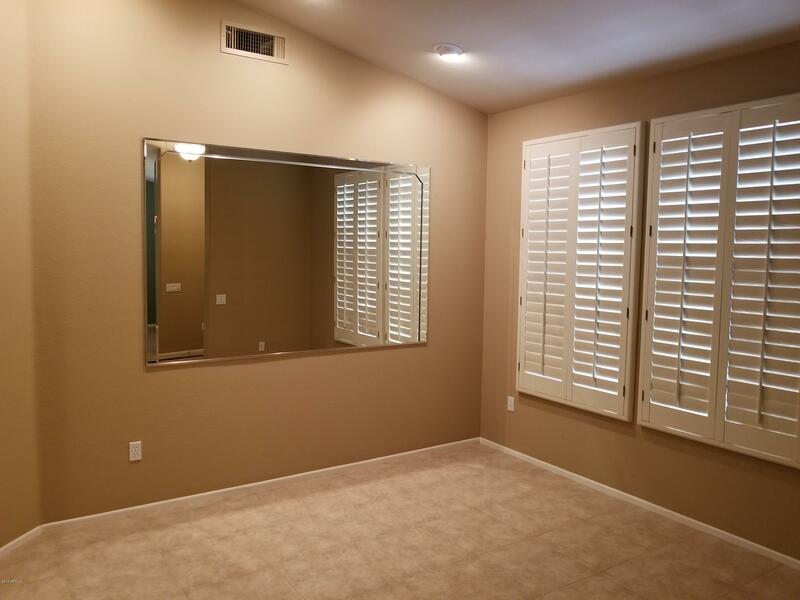 Guest bedroom has ensuite bathroom. 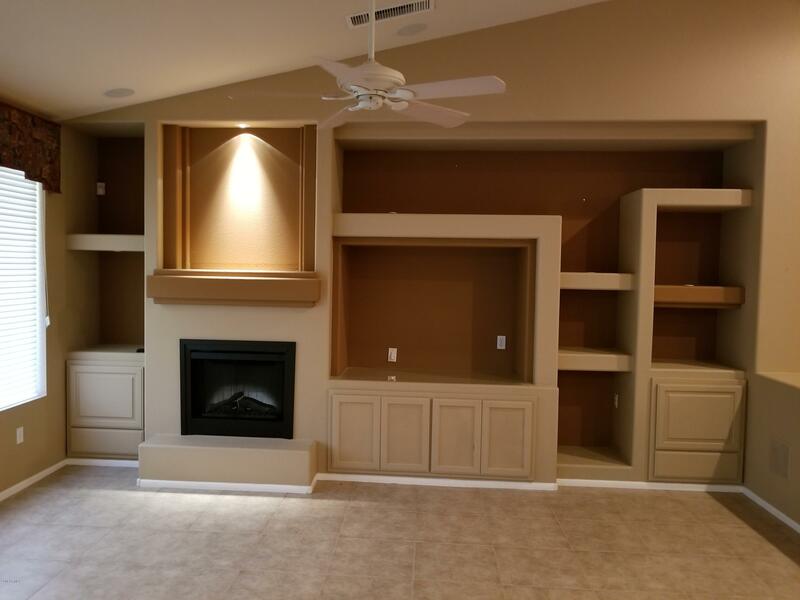 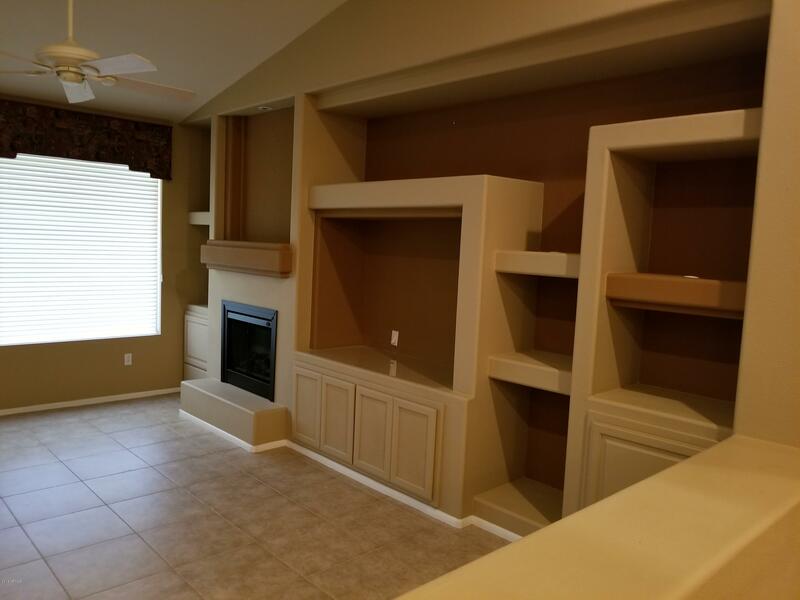 Family room has built-in entertainment center with electric fireplace. 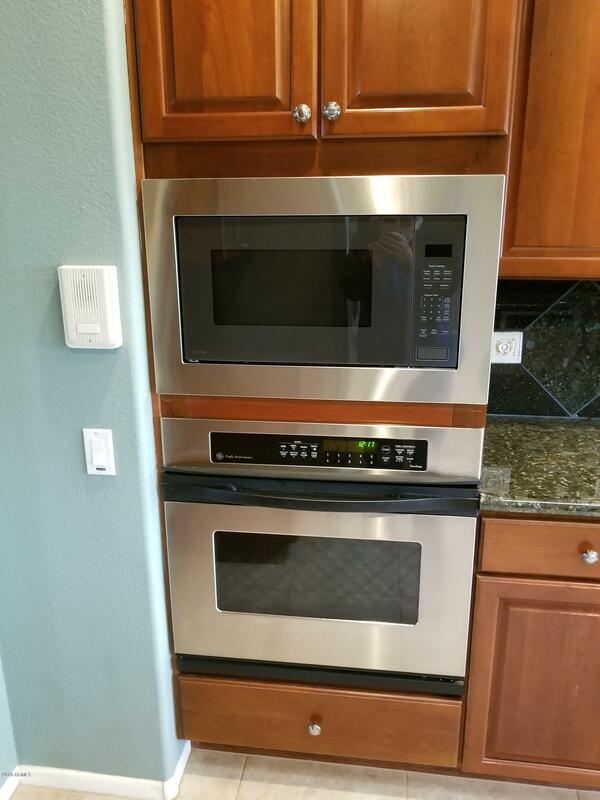 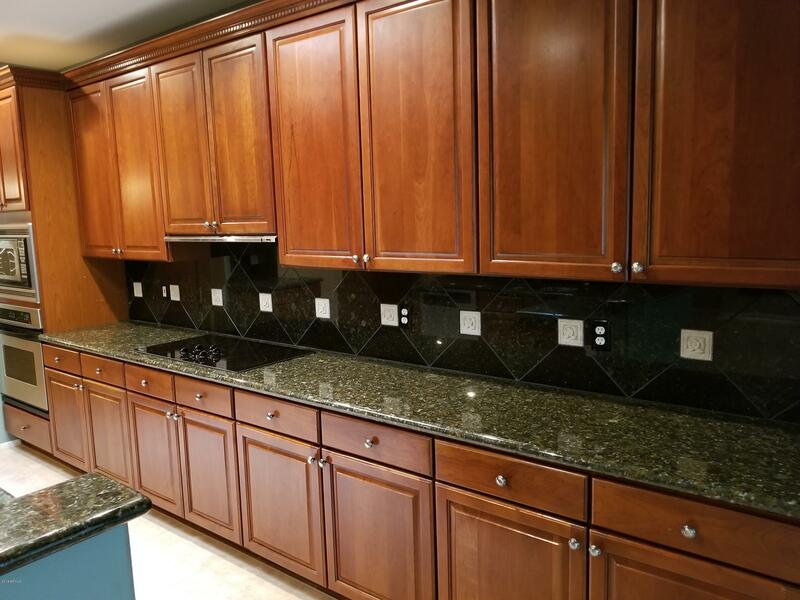 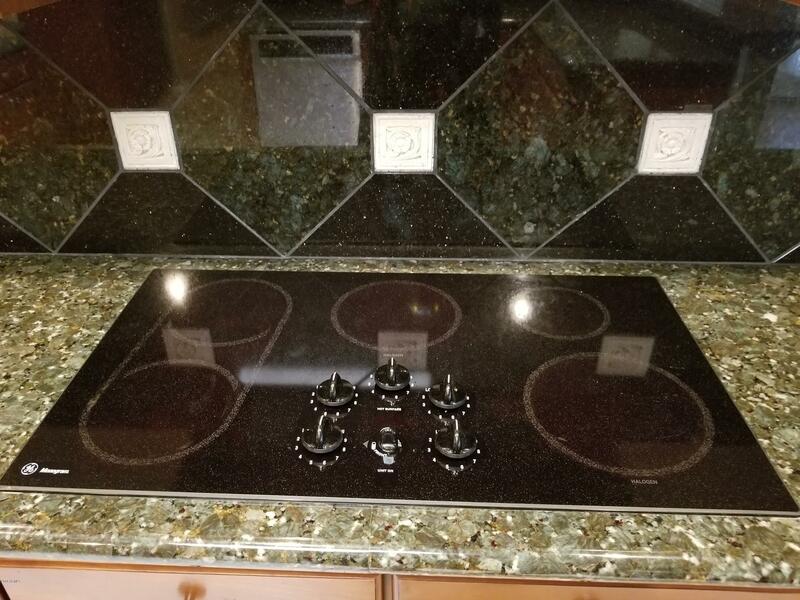 Kitchen has all granite counters, beautiful tile backsplash, built-in microwave & oven, flat-top electric stove, lots of pull-out shelving. 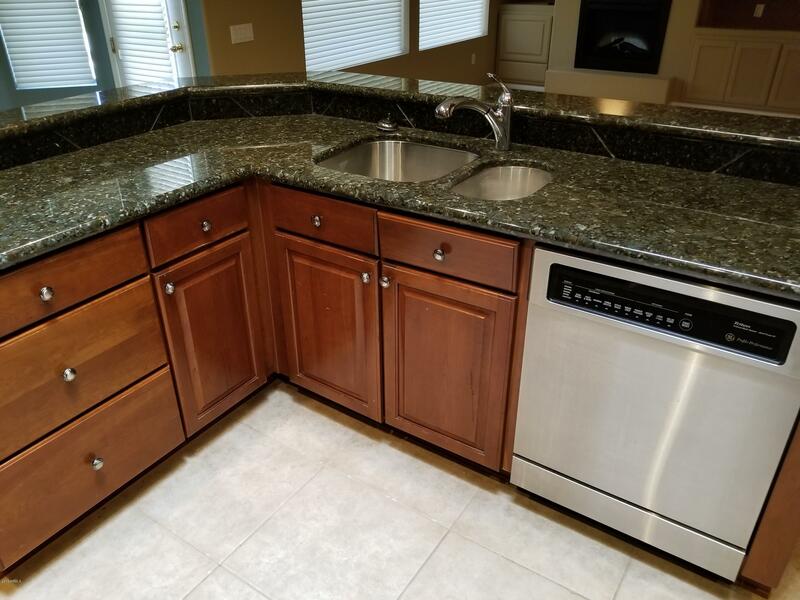 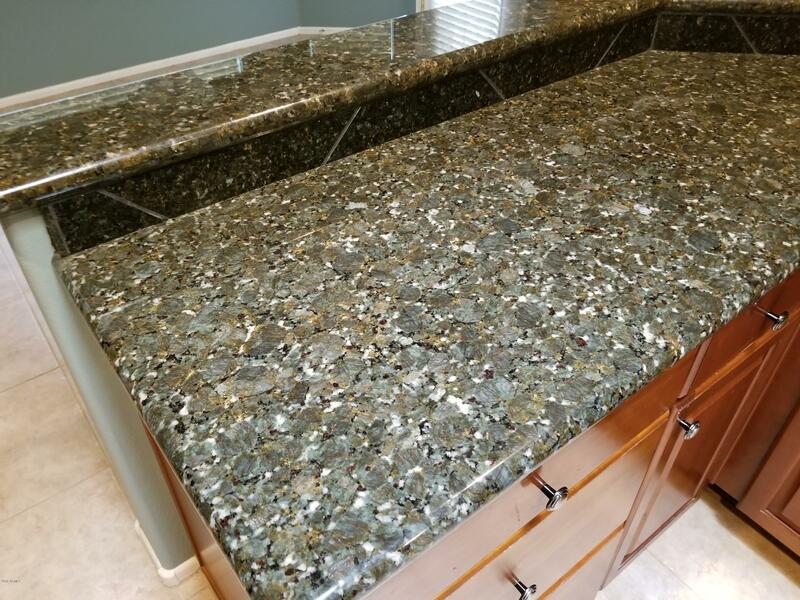 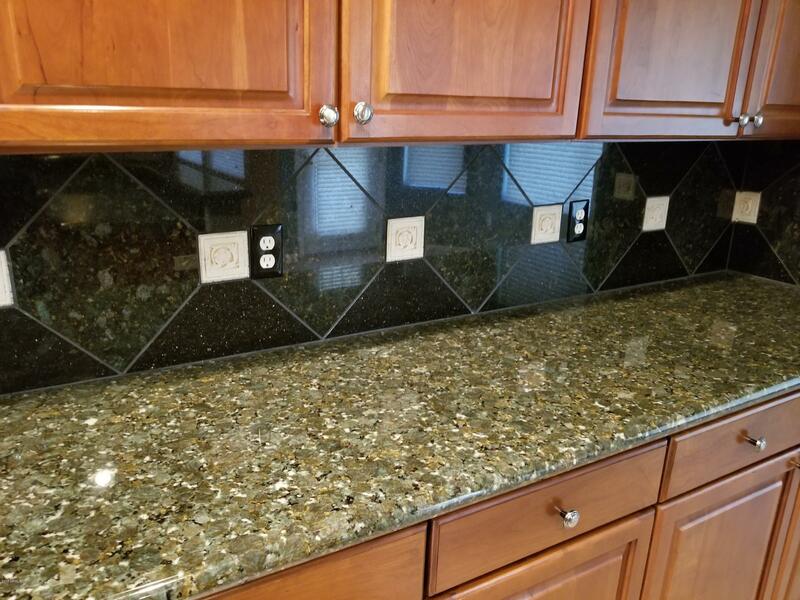 Kitchen island has double sink. 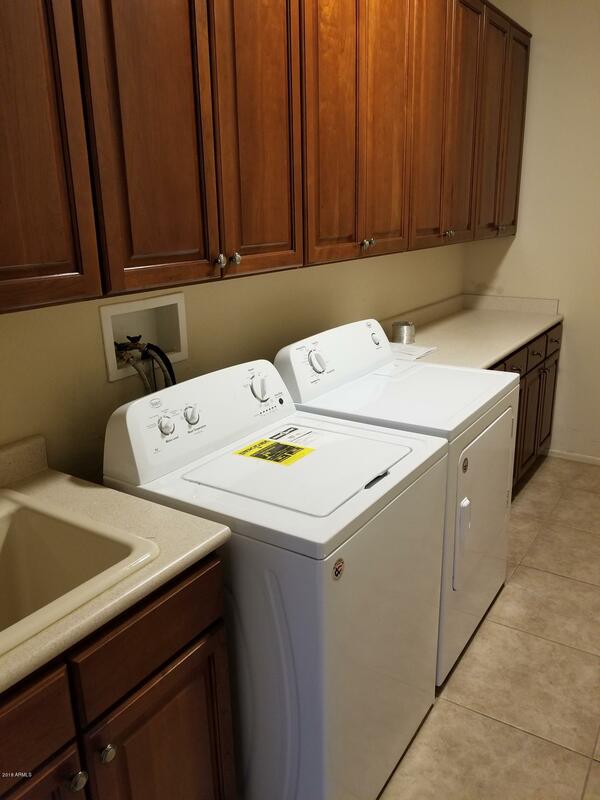 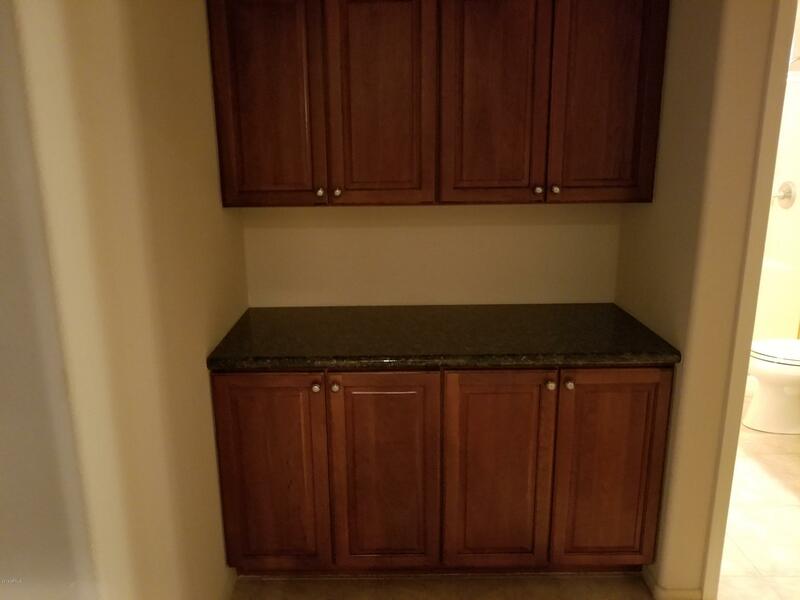 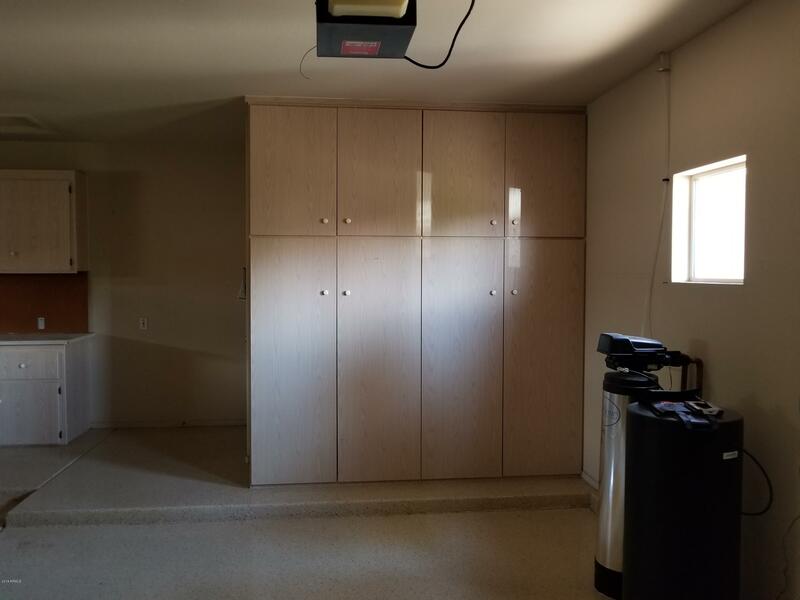 Laundry room has built-in cabinets and sink. 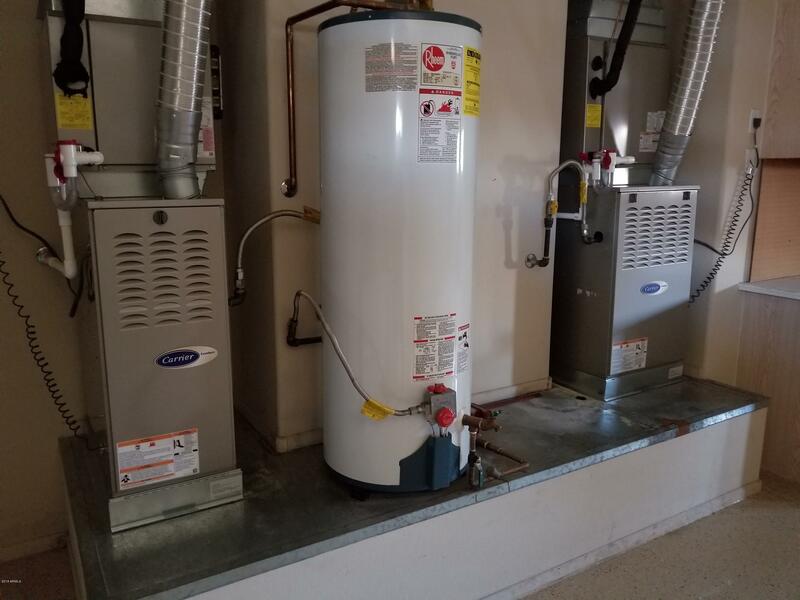 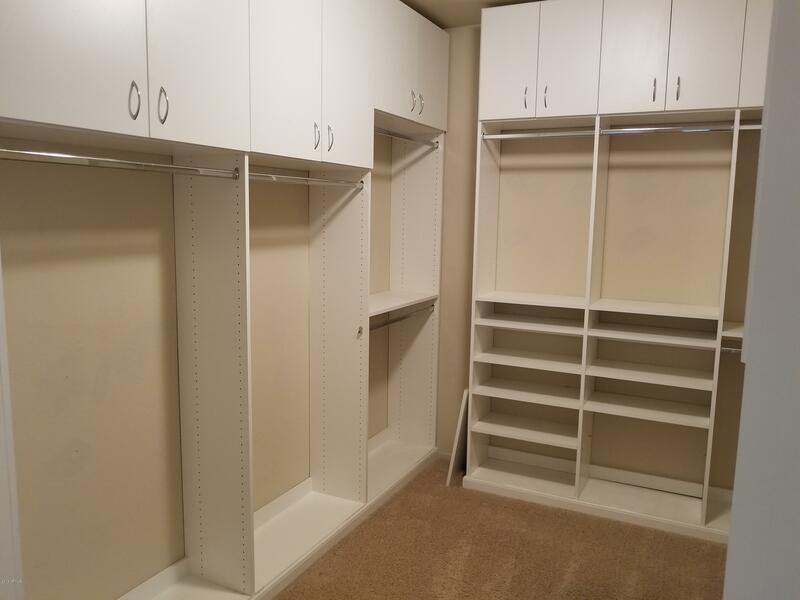 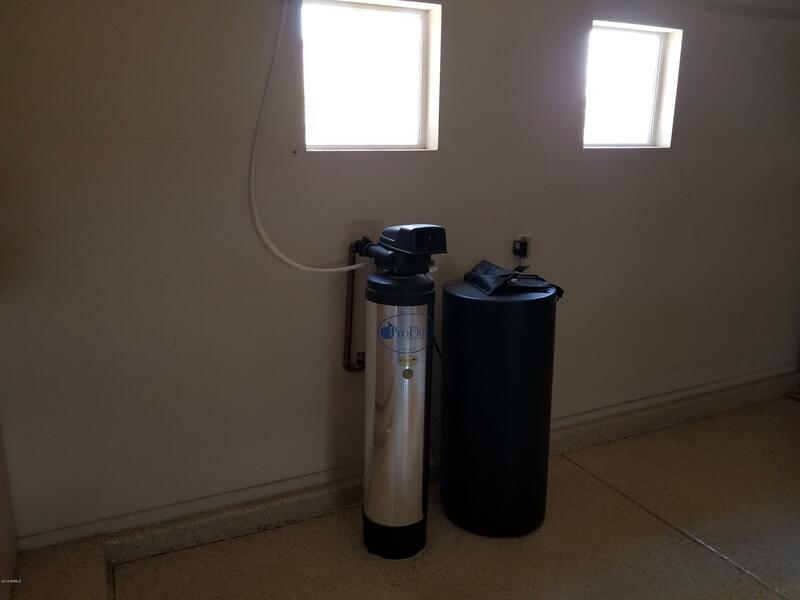 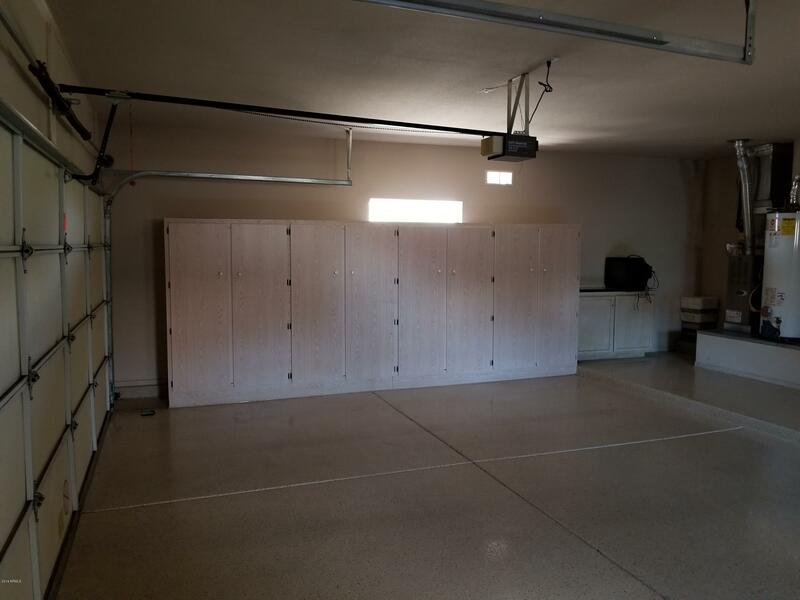 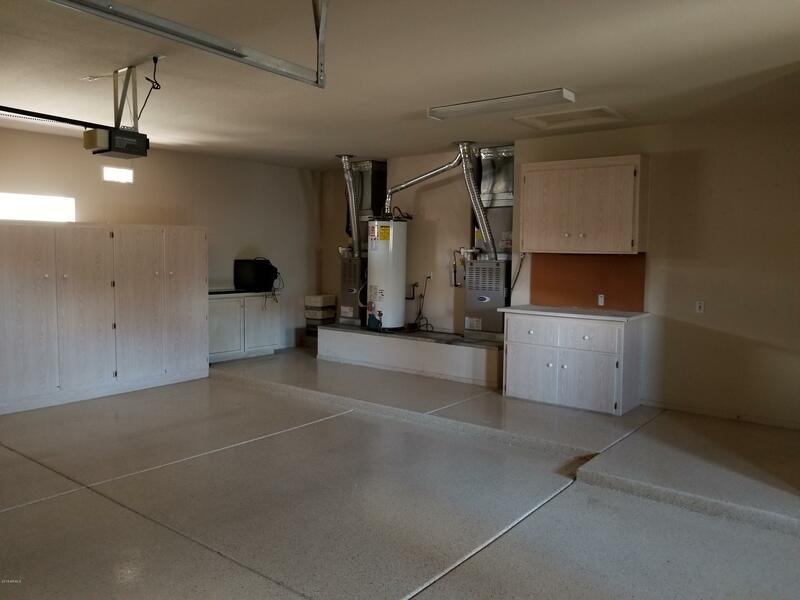 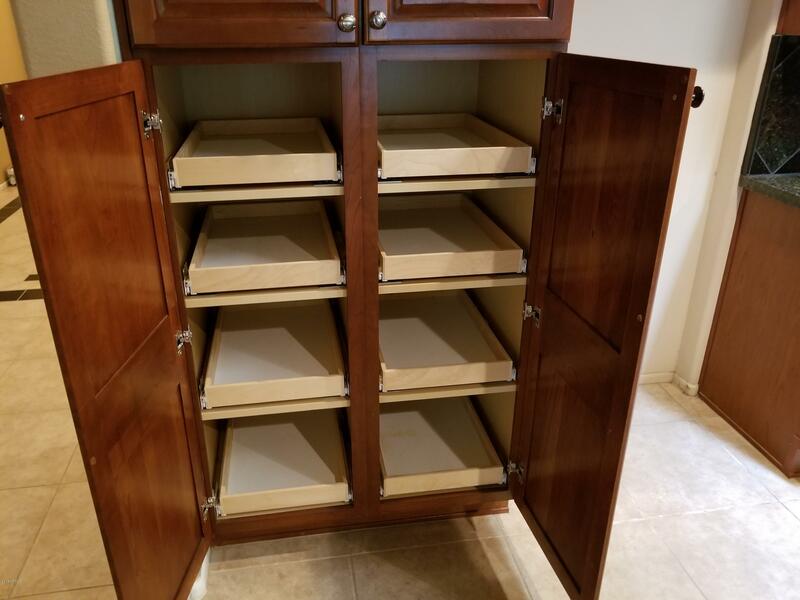 3 car garage with built-in cabinets, workbenches & water softener. 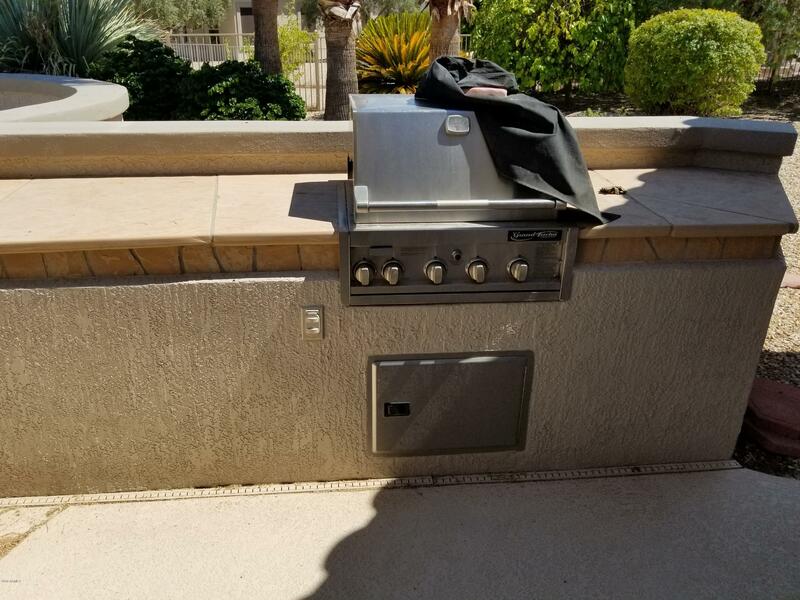 Security system.